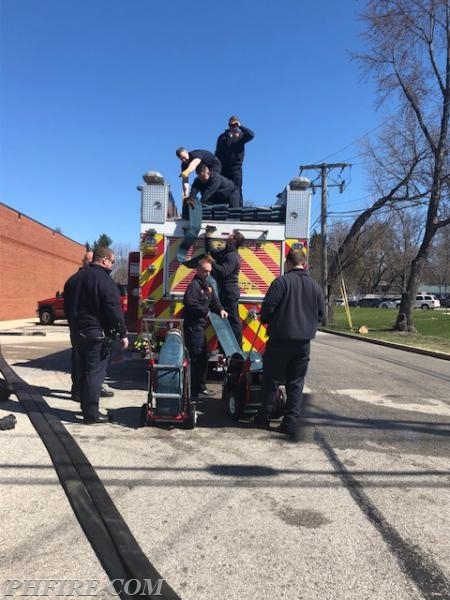 Gold shift participated in our annual hose testing today but with some special help. 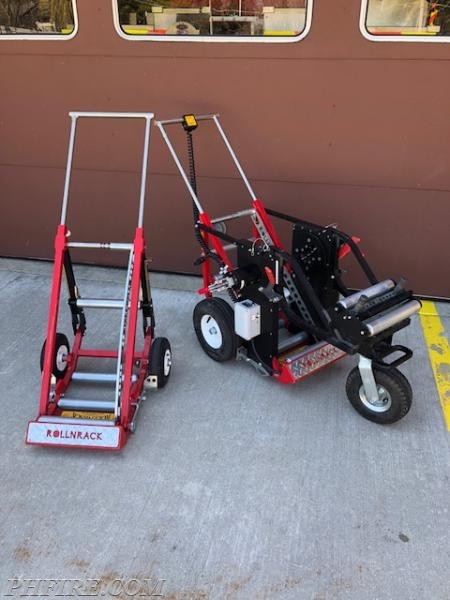 Our Foreign Fire Tax Board approved the purchase of the ROLLNRACK power and manual hose rolling system. 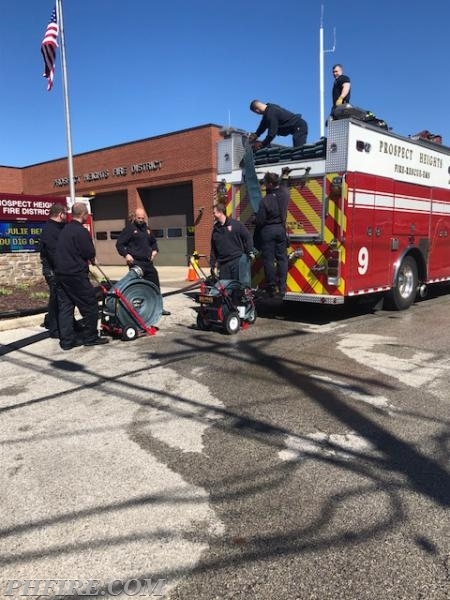 This allows our firefighters to roll our heaviest hose using a battery operated machine and then transfer the hose to a transportation/loading cart. Having this equipment has been proven to reduce firefighter injuries. 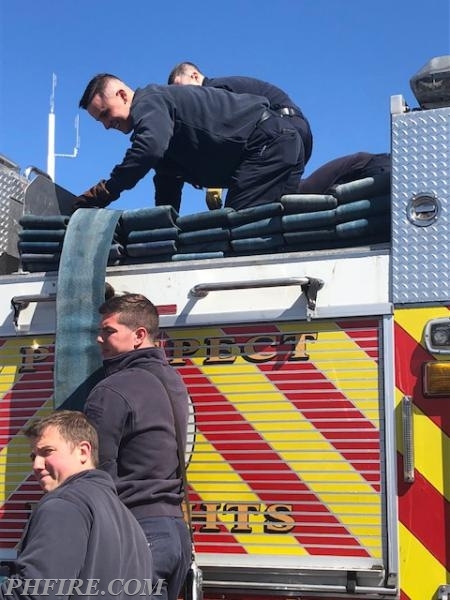 The department currently has over 5000 feet of 5" hose which is used for our water supply operations, each length weighs approximately 109 lbs. with out water in it. Thank you Foreign Fire Tax Board for approving these new tools and Lieutenant Lahey for submitting the request.